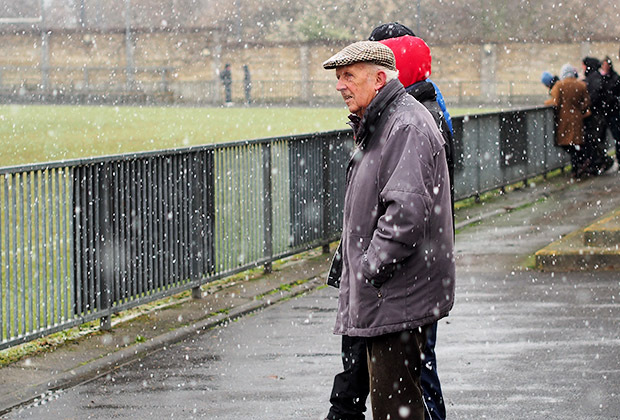 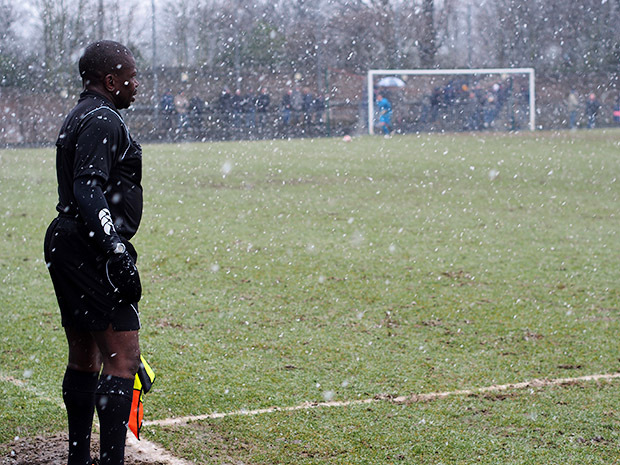 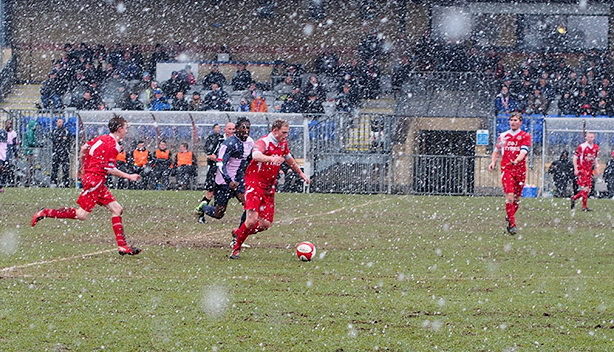 Local lower division football heroes Dulwich Hamlet fought a tough game yesterday, battling against strong winds and driving snow to triumph 3-0 over Whitstable Town. 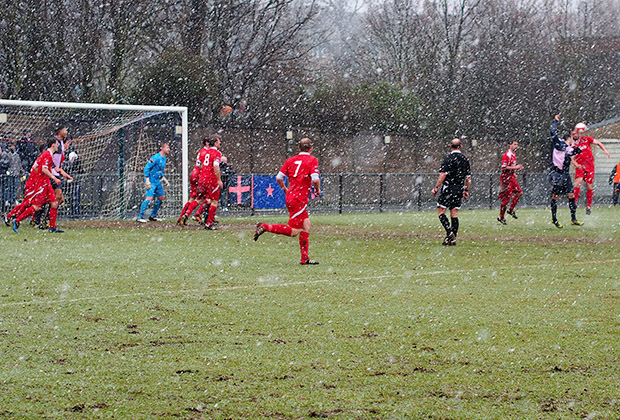 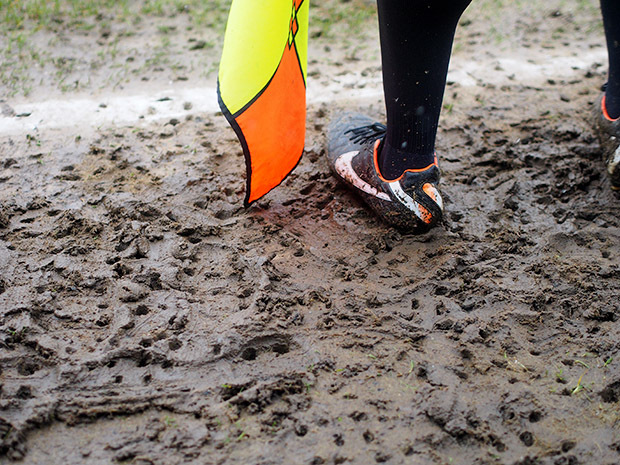 The first half was a dowdy affair, as both teams struggled to get going on the heavy pitch. 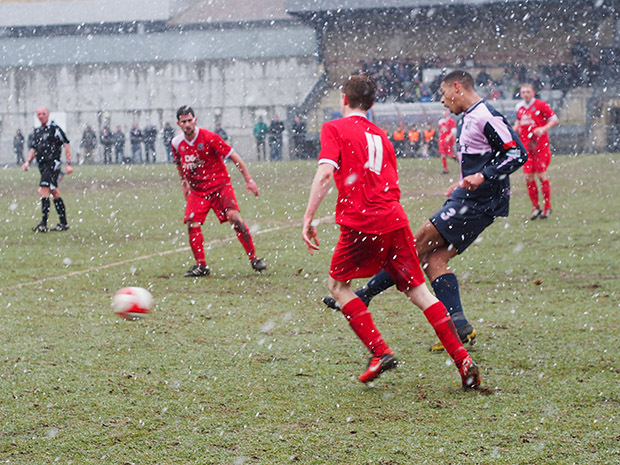 The first half ended 0-0, with neither team managing to dominate the game. 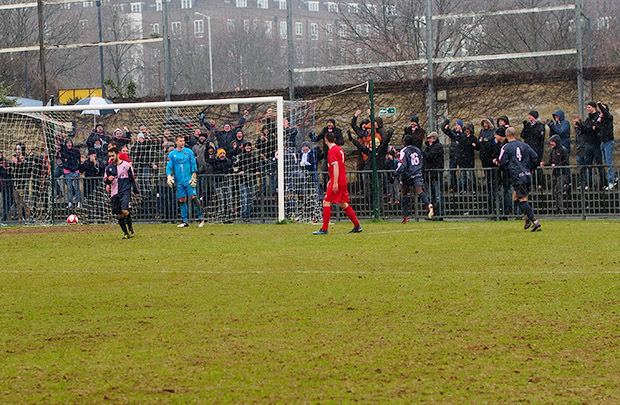 Some of us started to harbour doubts that Hamlet would be able to get a result out of this game, as Whitstable were proving a stubborn team, and were capable of putting together some useful breaks. 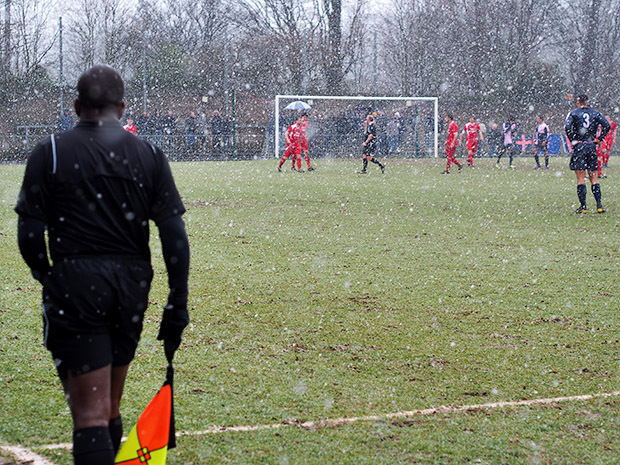 With the snow abating, Hamlet took control in the second half, scoring in the 55th minute after Nyren Clunis delivered a thundering 25 strike. 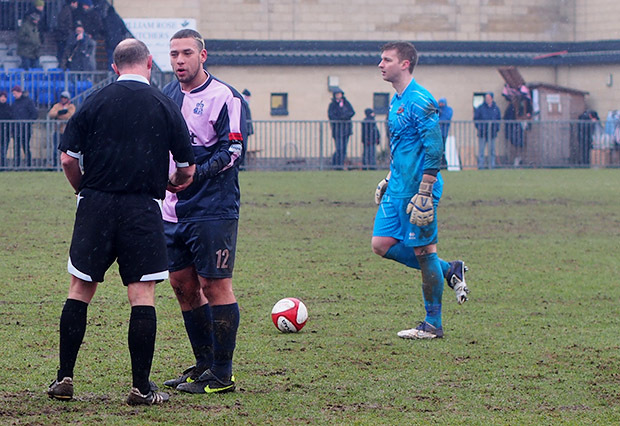 From then on it was all Hamlet, who took control of the game and never looked like conceding. 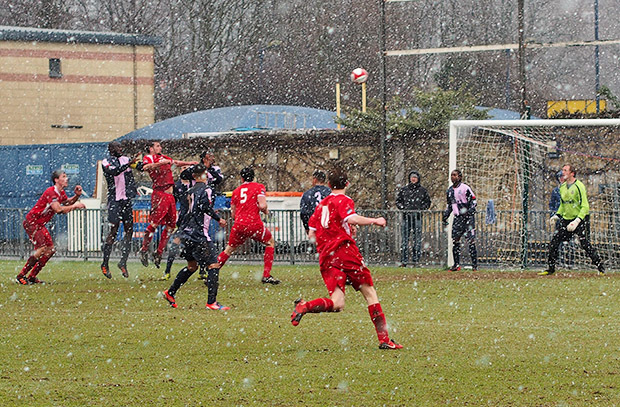 Three minutes later Daniel Carr netted the second goal. 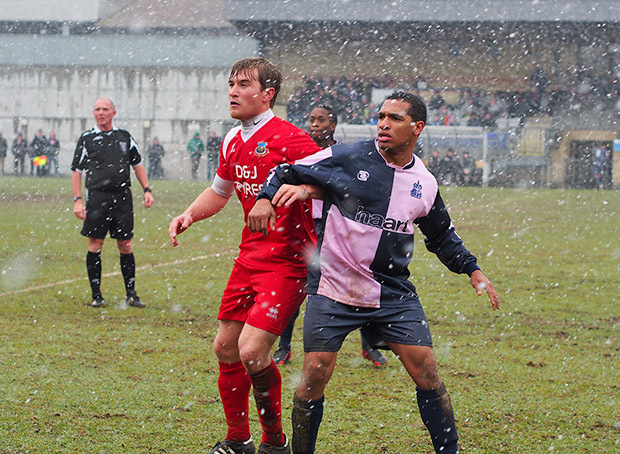 Xavier Vidal made it 3-0 in the 79th minute, setting up the top of the table clash on Tuesday against Maidstone. 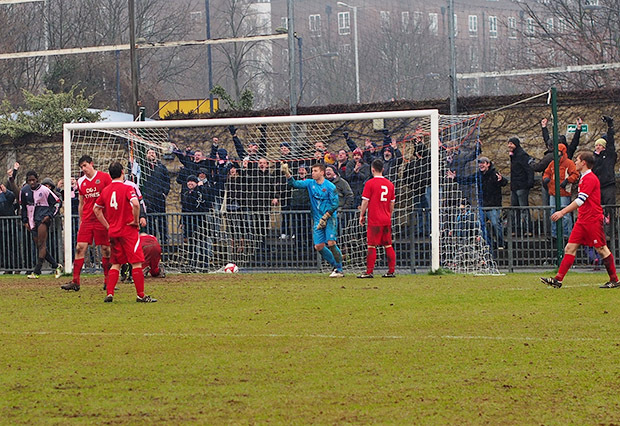 This hardy band of Whitstable supporters did their best to cheer on their team, even if their set list of songs was extremely limited. 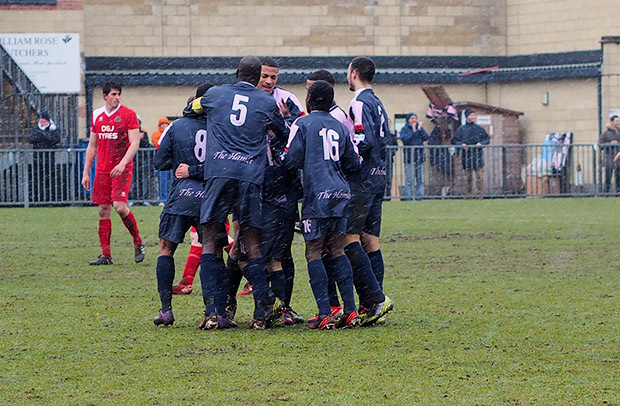 Chat about Dulwich Hamlet on urban75. 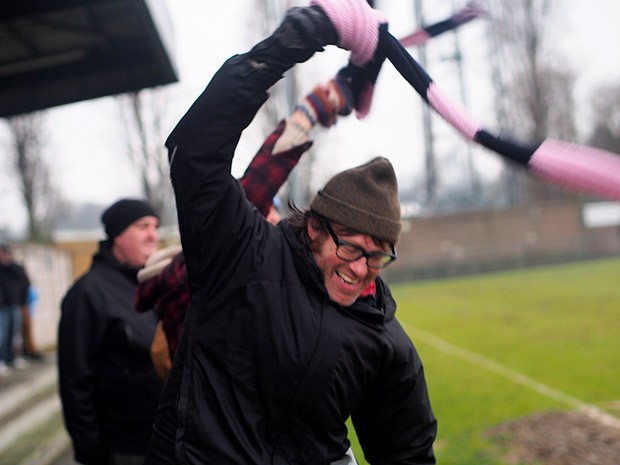 Dulwich Hamlet 3 Sittingbourne 1 – promotion pushing result cheered on by drunk Germans Dulwich Hamlet thump Walton Casuals 5-0 to go top of the league Promotion is a heartbeat away as Dulwich Hamlet beat Crawley Down Gatwick 3-1 Dulwich Hamlet 1 Maidstone Utd 1 – honours even in top of the table clash Dulwich Hamlet hammer out a win against a stubborn Chipstead in wind-blasted game Hard luck Hamlet! 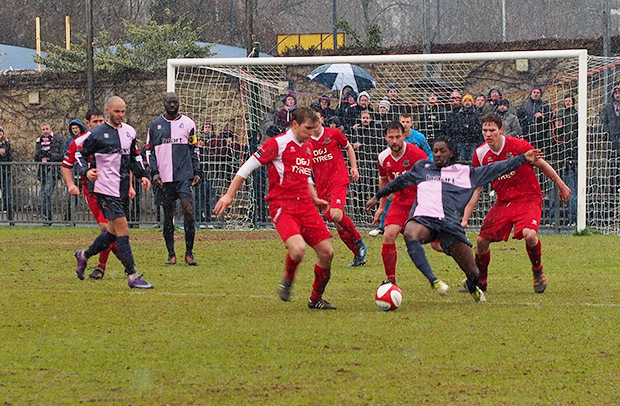 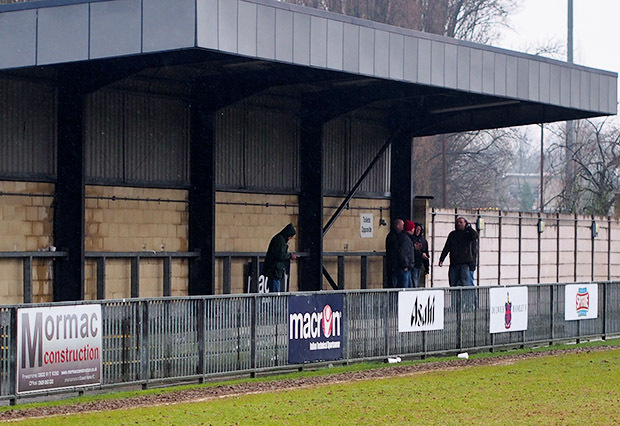 Dulwich Hamlet lose to Concord Rangers in Isthmian League Cup Final Dulwich Hamlet sweep past Tooting & Mitcham in lively derby match Dulwich Hamlet clinch promotion after nail-biting draw with Burgess Hill – and Champion Hill goes wild!